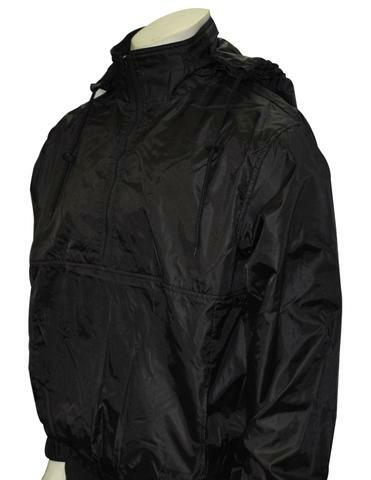 Black Lightweight Shell Waterproof Pullover Windbreaker with Hood. Great Jacket for use for Track and Cross Country seasons. Available in sizes small to 4X.